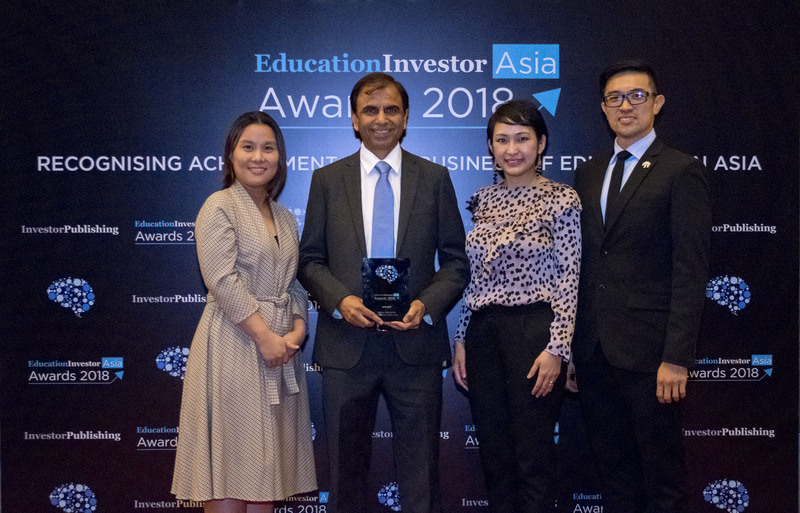 The University of Newcastle in Singapore (UON Singapore) is the proud winner of the ‘Higher Education Institution of the Year Award ’ in the inaugural EducationInvestor Asia Awards 2018, held at Marina Bay Sands on 17 May 2018. The award is a recognition of UON Singapore for its outstanding contribution to education with a view to promote excellence and recognising innovation in the private education sector. The Awards are presented to organisations and individuals that have made an outstanding contribution to education in 2017-18, with a view to promoting excellence and recognising innovation in the private education sector. It also offers an opportunity to showcase companies’ expertise and commitment to what is an increasingly important sector for all Asian economies. Across a wide range of categories, the Awards seek to recognise leading contributions from organisations investing in, advising or operating in education. 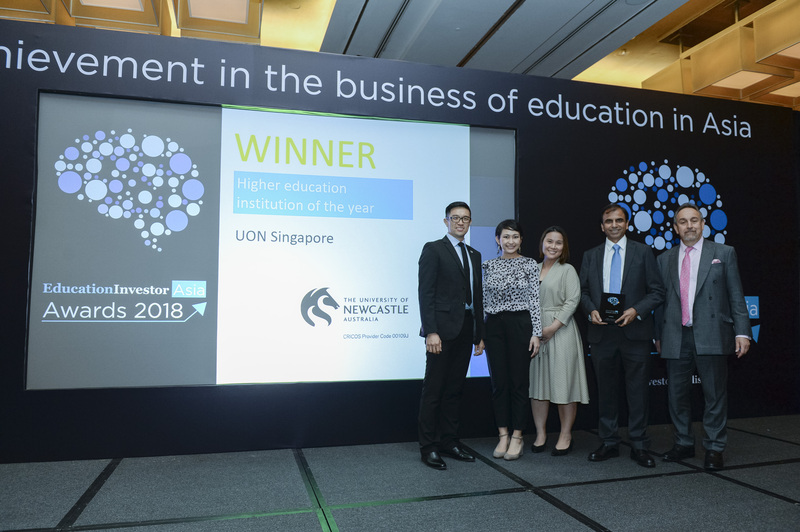 With this win, UON Singapore has reinforced its aim to enhance the University of Newcastle’s reputation in Singapore and within the Asia Pacific region by expanding the University’s excellence in teaching & learning, research, and innovation. It also reflects UON Singapore as an ambassador of the Australian Higher Education in Singapore which stands out from many other foreign universities operating in Singapore. For reference on the winner listing, click here.